How much does it cost to spend the weekend in Rome? How to get from the airport to the city center for little money? How to run away from the Eternal City for a half a day to the Tyrrhenian Sea and spend only 1.5 euros? And is it true that Rome has the most delicious gelato? We have been there, tried, and we know. And therefore we will answer all the questions that you will definitely have if you decide to arrange the Roman holidays. Rome cannot be called a moderate European city. It is noisy and hectic. Filled with crowds of tourists and those wishing to make good money on them. This is not the city where you should go at random, without planning a trip. And definitely not looking for housing when you are already there. Especially on the day of religious celebration, when pilgrims storm the Vatican. Tips for tourists in Rome will be very useful! This is a small guide and practical advice from IGotoWorld for those who are going to the Eternal City. Preparation for a trip to Rome begins with a road. Of course, all roads lead to Rome. But it is most convenient to take advantage of air travel. And these are the airports of Fiumicino and Ciampino. The Fiumicino Airport is somewhere about 30 km from the center of Rome. This is a huge modern airport, where you will find a charging station for charging your devices, a little wifi, coffee in a vending machine for 1 euro and all the blessings of civilization. It works round the clock: it does not close at night. How to get from the airport to Rome? Travel tips further in the text. By bus. It is the cheapest. One way ticket starts from 4 euros. It will take 40 minutes. You will find the buses on the right side when you leave the terminal. You can book and pay for the transfer in advance, so it will be a little cheaper. It arrives to the very center, to Termini – the main station of the city. Keep in mind, the last bus from the airport leaves at 23:00. By train. It is fast and expensive. Regional Express trains to Termini costs 14 euros and takes half an hour. Without stops. Alternative – Treno Regionale is 8 euros. It arrives to the branches of the metro. The last trains leave at about 23:20 (the schedule can vary). By taxi. It will cost about 48–70 euros. The fare from Fiumicino to the center by taxi is 48 euros, but if you have more luggage there will be an additional fare. By car. You can rent a car, but what will you do with it in the center of Rome? The special pass is needed to enter the historical center. The average rental price is 30 euros per day. Tip. If you have a late arrival – it is more convenient to book accommodation near the airport in advance, in Ostia or Fiumicino. It will take you a lot of time to reach Rome by public transport at night, and figure out the hotel ... And if you take a taxi, the cost of transfer will be close to the cost of the room. And in the morning you will wake up with a view of the Tyrrhenian Sea. If you are on the budget, you can just spend the night at the airport. It is open around the clock. If you are travelling around Europe with low-cost airlines as Ryanair, Easydet, Wizzair, most likely your flight will land in Ciampino. By train. It is cheap, but difficult. It is necessary to get from the airport by city bus to the railway station, then take the train to Rome, which costs 1.5 euros. By bus. Straight to Termini, the price is from 5 euros. It takes about an hour to get to the city center. Rome is filled with hotels, apartments, hostels. You will easily find luxury hotels, and if you plan ahead in advance, then a cheap "bed." The cost of hostels starts somewhere from 20 euros per night for a bed. Double room in the hotel "B&B" or guesthouse – from 30-40 euros. Book accommodation in advance: Rome is very popular among tourists! There are a lot of hotels in Rome: more than 12 000 thousand options. Public transport: which one is cheaper? If you have settled in the city center, you may not need to buy a prepaid travel card. It is best to observe Rome on your feet. The historical center is quite compact. And if your hotel is situated near the Colosseum or Piazza di Spagna, there is no point in spending money. A one-time trip is 1.5 euros, if you need to return at the end of the day. If you need transport, the best option is a bus. This way you can at least look at the city. If you have to travel a considerable distance (you settled on the outskirts), you can use the metro. There are only 3 lines. But there is no point in it as all the beauty is above! The principle of a single ticket operates in the city: all public transport can be used. The ticket for 1 day – 7 euros, for 3 days – 18 euros, for a week – 24 euro. The number of trips is unlimited. You can buy a travel card in a vending machine at a metro station, a bus stop or a tobacco station, a newsagent. Tourist buses. If you have been to Europe before, you probably know what we are talking about. Buses with an open top are convenient for tourists, who are too lazy to walk, but want to see everything. You will see all of the coolest places. You can get off wherever you want, and then resume your trip. Such trip in Rome costs 31 euros for 48 hours. And how can we forget about street food! There are so many scents everywhere! It is impossible to resist tasting a slice of pizza or to go past Italian ice cream – gelato. 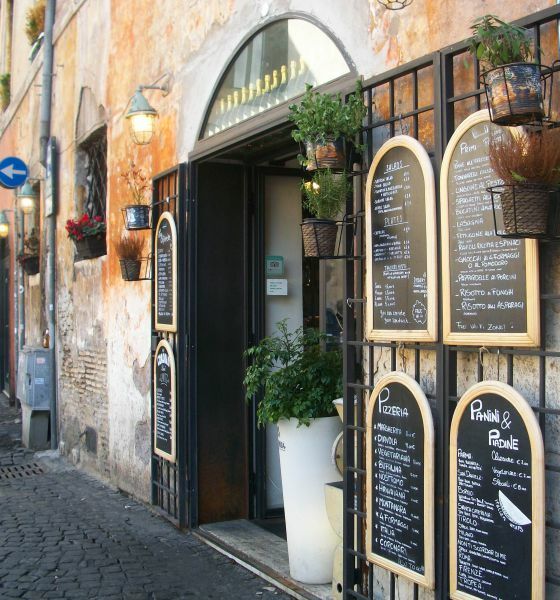 You need to get a taste of Rome! Go into the local restaurants: they are on every corner. Pizza on the street – 3–4 euros (depends on weight). Pizza in the restaurant – 8–12 euros (Margarita is usually the cheapest, more expensive – with seafood). A plate of pasta – 8–12 euros. Bruschetta – from 3.5 euros. This article might be interesting for you: What's worth trying in Italy. What to take with you from Rome? You can take a Colosseum with you from Rome for a mere penny. Only for 1 euro! Small souvenirs – magnets, beer opener, cards – 1,5–2 euros. 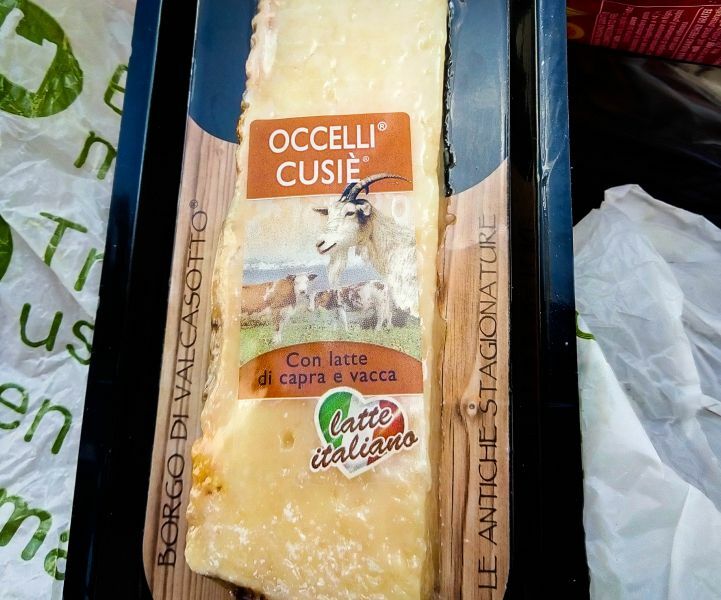 From the products – think about Italian cheeses. The most famous, of course, Parmesan, but there are so many varieties that it will be hard to choose! The average cost per kilogram of cheese is from 20 euros. The main thing is that hard sorts of cheeses can be safely taken in hand luggage on the plane, if you fly without luggage. Pepperoni, prosciutto and other meat delicacies for 3–4 euros per package. If you can fly with your luggage, think about a bottle of olive oil. Liter is 5– 6 euros. A bottle of Italian wine in the supermarket is from 3 euros, and the famous Limoncello liquor – from 15 euros. And, it is not Italy without pasta: 1– 3 euros for a package of selected Italian spaghetti. From the Vatican, you can take a rosary, objects with the image of the Pope. 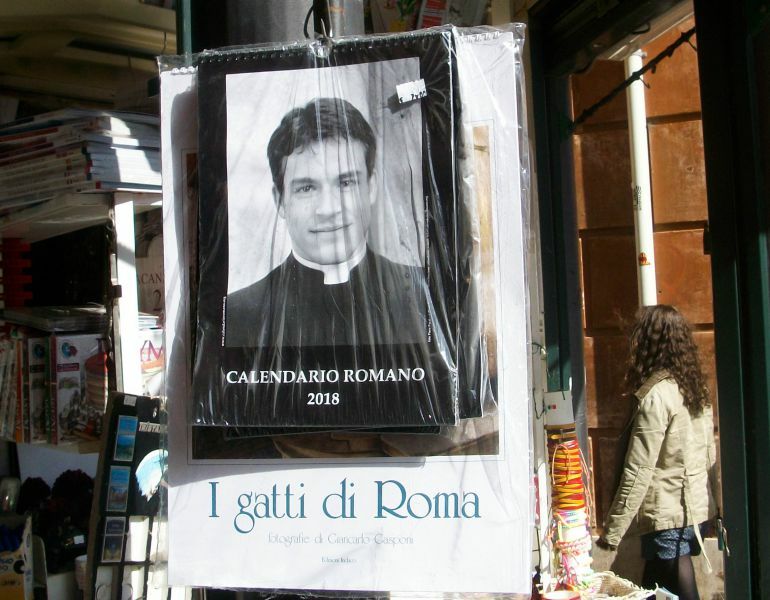 The calendars with photographs of the ministers of the Catholic Church are incredibly popular. They are sold everywhere! Or maybe you run away to the sea? Feel a little fed up with architectural monuments and crazy crowds of tourists? If you arrived in the summer, think about going out of town, to the sea. It's very close! 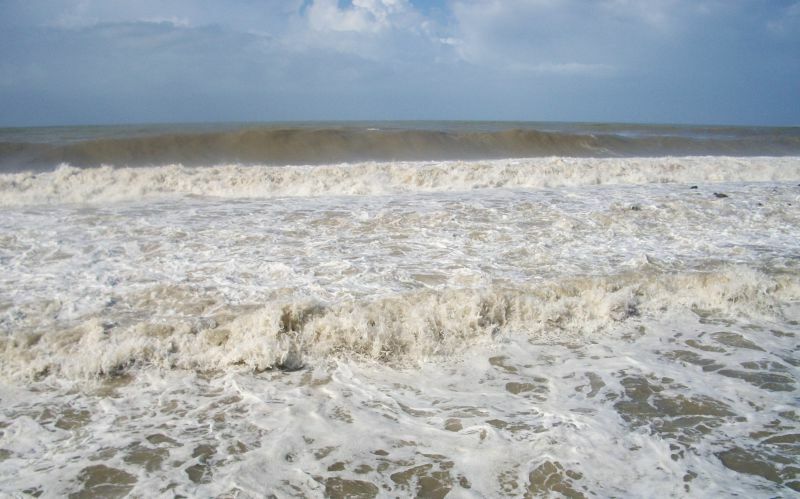 You will find Tyrrhenian Sea in Ostia. 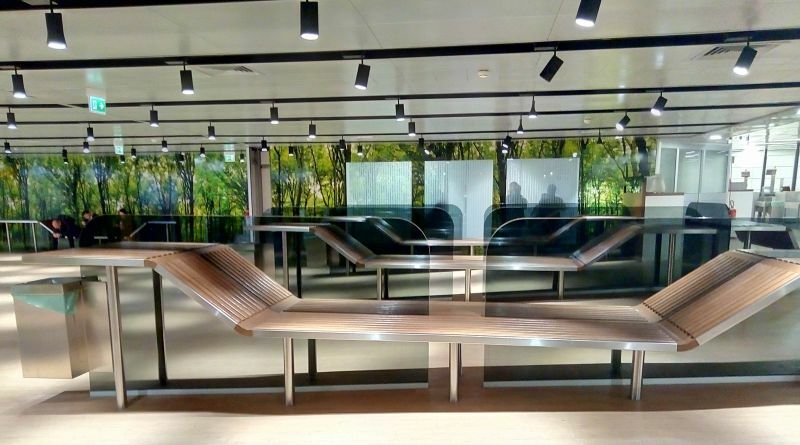 It is connected by a metro line to Rome, so you will be there in an hour with one transfer. The ticket price is 1.5 euros, it is valid for 100 minutes. Watch out, it's crowded in the summer! 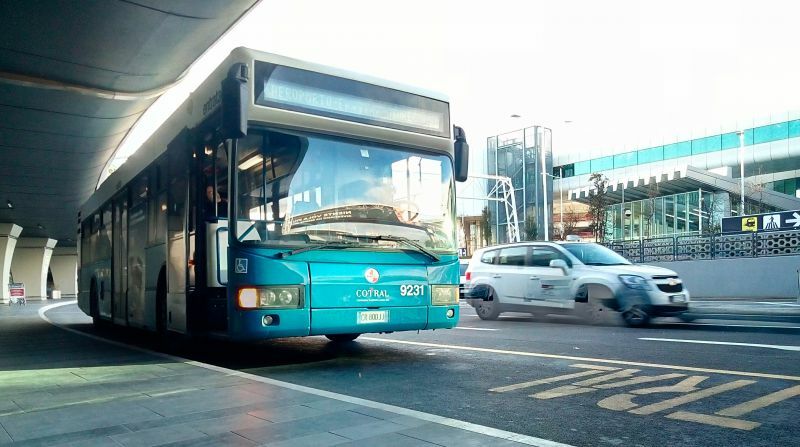 If you decide to take a peek at the sea immediately upon arrival (it is 20 minutes by bus from Fiumicino airport and another 5 minutes walk to the sea), find the sign Cotral near the terminal number 1. Buses depart from here. The driver does not sell tickets. They need to be bought in a small coffee shop, where there is a "tobacco" sign. Yes, in Italy tickets are sold in tobacco kiosks. 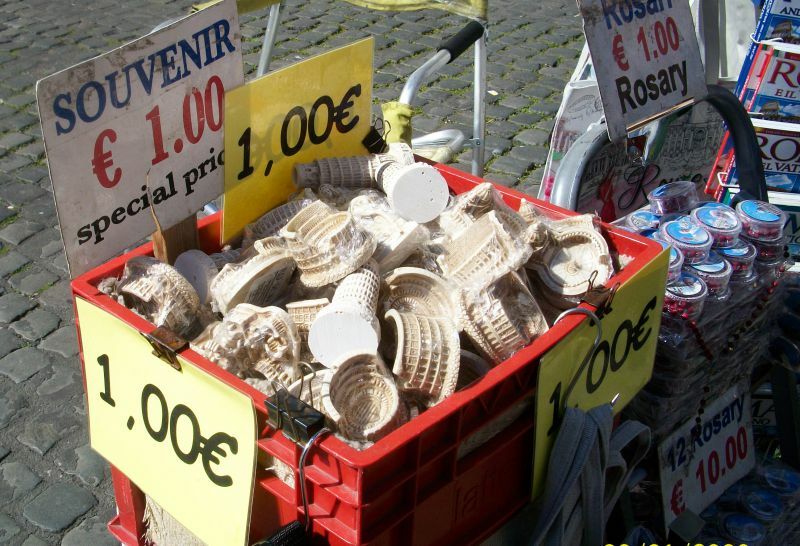 The price to Ostia is 1.3 euros. You are planning to take a walk around the city, and you have nowhere to put your suitcases? At the Termini train station you will find a storage room. The price is 6 euros for 5 hours. For each subsequent hour – one euro. But in front of the official cameras there are private traders, they offer to store your suitcases faithfully for only 6 euros per day. Be careful at the crossings. The Eternal City does not sleep. Both pedestrians and drivers. There are traffic lights, but nobody pays attention to them. You have to look closely driver in the eyes, so that he slows down, while you pass your zebra. Rome is not the cleanest city in the world. Dirt and garbage are waiting for you just like the chic architecture. Especially on holidays, when the city is filled with thousands of tourists. Prepare for beggars. In Rome, there are a lot of them. In the subway, near the station, near the cathedrals and in the Vatican. A lot of homeless people have arranged their bedrooms right on the sidewalks. Prepare for the guys from Africa. "Hey, hello, what country are you from?" The guy will definitely come to you. Then he will tell you how he respects your country, will give you a present, some kind of a bauble. And will ask for money. If you do not want to buy their souvenirs – do not engage into conversations. Free toilets – this is not about Rome. Public toilets are generally difficult to find. You need to go to the café. In Rome they often try to "cheat". "The entrance to the Basilica is free, do not give anyone money for the entrance." Only in Rome you will find such a sign on the church. Too many people who want to earn money on gullible tourists. Get a small lock. Better three. So it will be easier for you to leave the suitcase in the storage room. Or live in a hostel. Buy tickets in advance, if you do not want to spend a day wasted. Yes, you will have to pay 2–4 euros more. But you have only three days, so there is no point in wasting time in queues? Climb to the roof of any house in the city center. 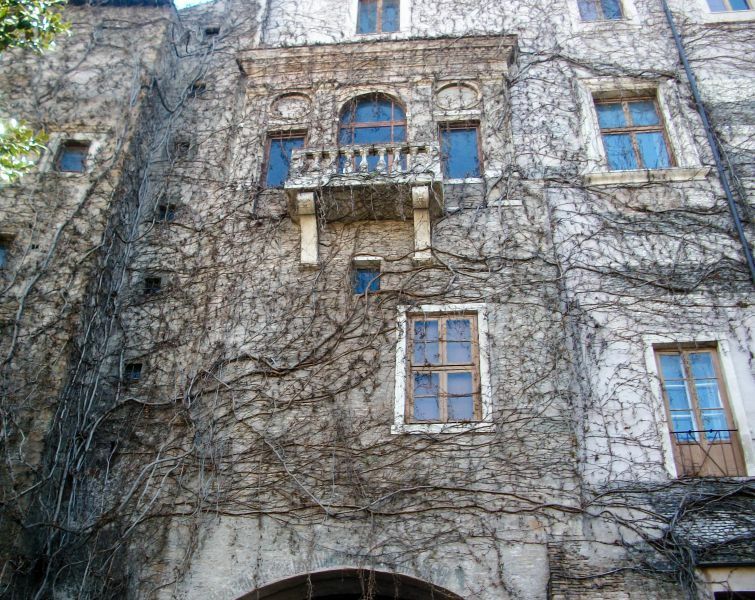 If the doors are closed – go to the hotel in the city center under the disguise of a guest. And go to the very last floor. From the roof you will see a panorama of the streets of Rome and the dome of its cathedrals. A great place for photos and pastime. And most importantly – walk! Study the city on foot. Everything that is the most interesting is in the availability of 1–2 hours of walking. Of course, during 3 days you will not have time to explore all the sights of Rome. But this is enough to get a feeling of the antiquities and take the atmosphere of the Eternal City with you! 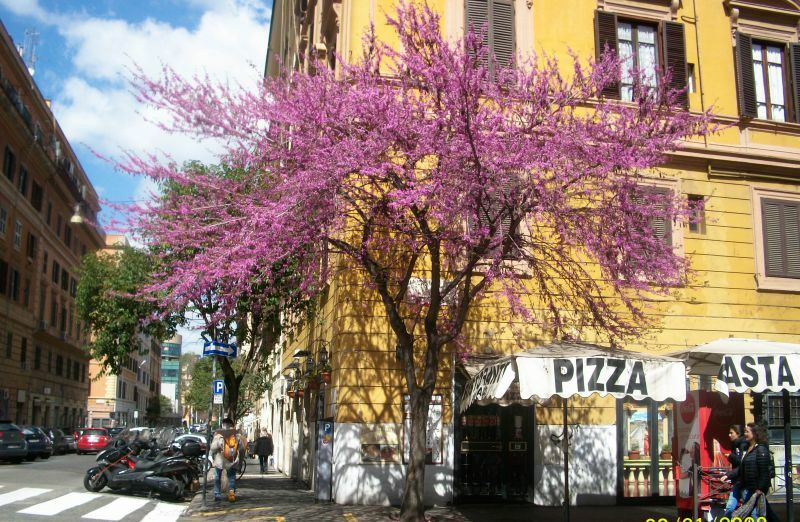 And our article will help you with the route around the city – in detail about how to spend three days in Rome.